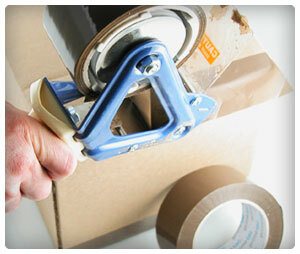 Moving Guru » Moving Guide » Are There Affordable Packing Companies? Are There Affordable Packing Companies? Finding an affordable packing service is possible. And I’m not talking about recruiting your family. No, I’m talking about people who know how to pack boxes harder than Mike Tyson packs a punch. Get it included in your flat rate – If you get a flat rate moving company, see if they’ll pack your boxes and do everything else for a good rate. Search the classifieds – Independent contractors can be found online and often offer very reasonable rates… out of desperation. Be nice and tip a bit. Provide help – If you pack the knickknacks and provide the moving supplies, there will be less work to be done and more money in your pocket. Sell stuff – They won’t have to pack it if you don’t have it. Research, research, research – Don’t just settle on the first packing company you find. Check around, and find some online reviews. How Much Do Packing Companies Cost?